How very interesting... And original! quick question (sorry, I know I ask a lot of those...) anyway when ET comes out will you change the welcome/beginning or add Iris to "meet the irregulars?" oh yeah, and I'm really, really sorry if I'm so slow that I didn't figure it out myself, but what does the "kid" after the page is done loading stand for?? Yeah, I probably should. She's an official member by the end. And the page should read "you're in, kid." 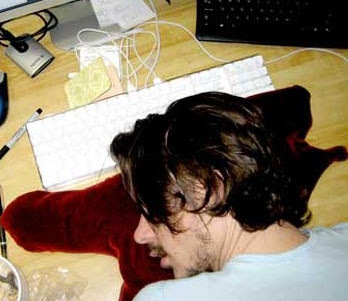 Just a joke from the web designer. Okay. That soap is freaking me out. Can we not talk about ET some people haven't read it yet! 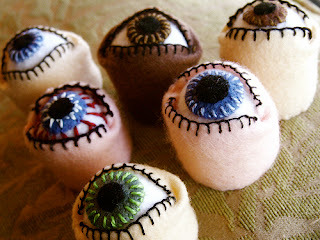 I want to know if some old lady made those eye pin cushions for halloween. 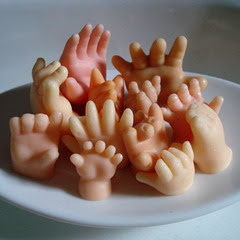 does anyone agree with me when I say those hand soap hands look like cabbage patch kid hands?